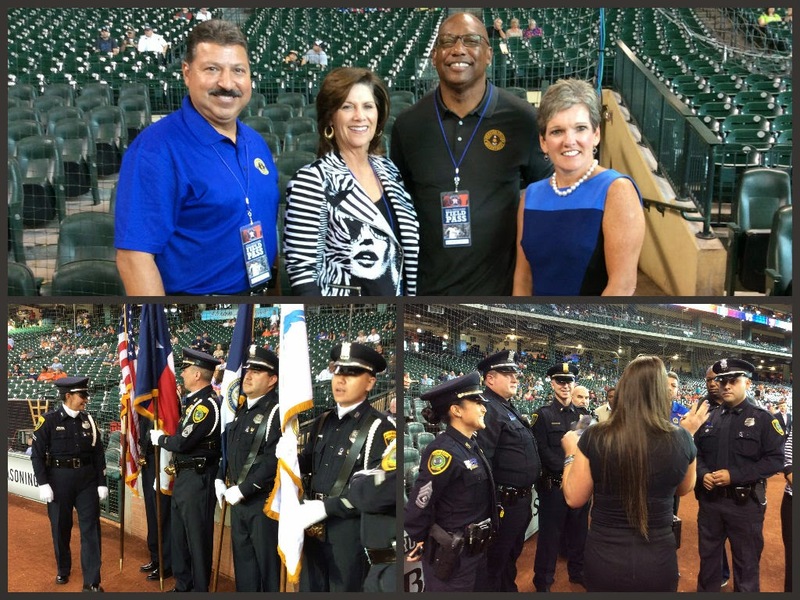 HPD and the Houston Police Foundation were recognized by The Houston Astros before last night’s game. Five officers who represented the five branches of the military were acknowledged, and the HPD Honor Guard presented the colors. Chief Charles McClelland also threw out the first pitch. For more pictures from the Astros game last night, go to the HPD Flickr account at THIS LINK.